Carl McEncroe’s practice focuses on insurance defense, insurance coverage, extra-contractual insurance defense, commercial litigation, and other civil matters. Before joining the firm, Mr. McEncroe clerked for the Honorable Michal Lord-Blegen and the Honorable Karen Hubler, 2nd Judicial District Court of Colorado, where he assisted in a wide array of domestic matters. Mr. McEncroe was admitted to the Colorado Bar in 2015. He is also admitted to practice before the United States District Court for the District of Colorado and the United States Court of Appeals, Tenth Circuit. 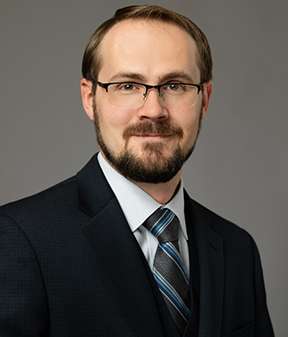 While in law school, Mr. McEncroe interned with the Honorable Brian Bowen, 17th Judicial District Court of Colorado, the Jefferson County Attorney’s Office, and Fortis Law Partners. Mr. McEncroe also served as a judge for the Providence Cup.